Most of the 99%, disenfranchised Americans in all camps, have had it with establishment politics and it’s high time. Unfortunately, either way, I predict the consequences at the polls this November will be disastrous, disastrous for the nation, and especially disastrous for a world at risk from climate collapse and from nuclear war. The establishment is quite happy to ignore the fact that voting machines are owned by Republican interests, and that as privately owned election machines, their codes are proprietary, and that they have the ability, through the use of back doors, to strip and flip any “election” it may please a “Democracy” such as this one to call. It will be interesting to see what role they play in this November’s selection. 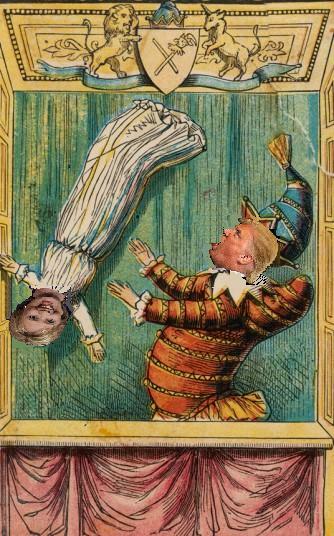 If the margin between the Punch and Judy they offer as candidates is sufficiently narrow, the selection can be decided literally with a coin flip. Be sure to vote! Your vote counts! The establishment is still operating in the mindset that Barack Obama, although raised by white women, was somehow a Black president. Had Mr. Obama been Black, he would never have been elected, or had he accidentally been elected, he would have had to be assassinated. In the same way it is imagining that Clinton is a first-woman-president-in-the making. Appearances do not make the man—or the woman for that matter. Culture does. The Clinton candidacy will bring out every single disaffected white male in the Untied States, because they perceive her as a woman, and consciously—or otherwise—they recognize that their day is over. Trump knows how to appeal to them. 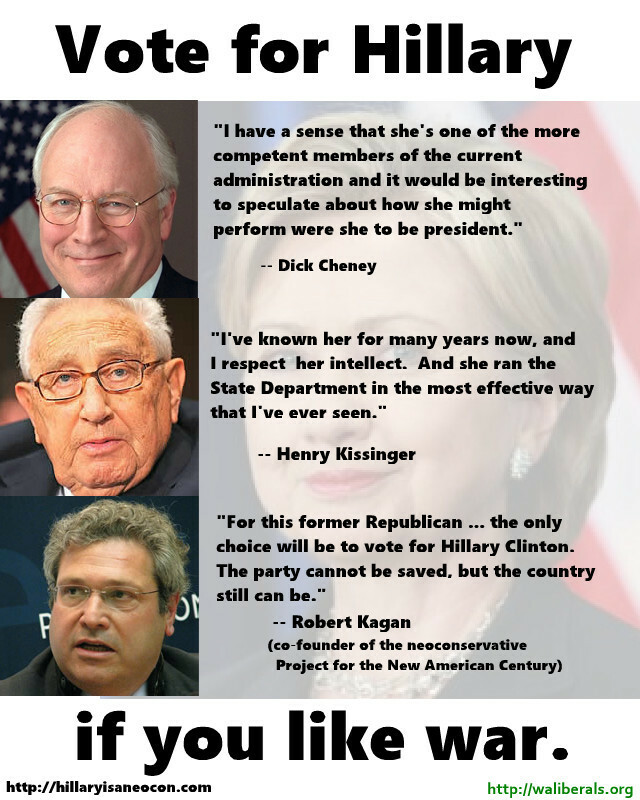 Meantime, war, stolen primaries, GMO, oil trains, pipelines, fracking, TPP. new nuclear plants, deportations, exoneration of police lynching people of color will never go ho-hum unopposed again not by the left, and in some cases, notably TPP, not by the right either. For both the left and the right, the politics of the establishment are toast. Trump, no matter how dumb, seems to get it; the DNC camp does not. We watched them dig their own grave this past week. The next White House “resident” will move in sometime in January and his name won’t be Hilary. I’m making book. But, either way, Punch or Judy, we get the government we deserve. If the last two weeks depressed you, then here's a piece to put our fighting spirit in gear! This past Friday, the UK's new Prime Minister's delayed going ahead with the $24 billion Hinkley nuclear debacle until this fall. New York will be deciding Monday on whether or not to give the state's ailing nuclear stations a $500-million-a-year bailout. The New York Times has been using its pro-nuclear bully pulpit to promote a $7.6 billion state subsidy for New York nuclear stations including Indian Point which had previously been targeted by Gov. Cuomo for closure. The Times has published two attack pieces on Solar Power, the latest of which suggested that solar was no longer financially viable in California. The piece went on to promote the Electric Industry's national campaign to roll back Net Metering. The New York regulator's decision on Monday is being hyped as a major media splash that will save nuclear power in the country! (petition here). The nuclear utilities are threatening to close up to five units if they don't get the subsidies. In no place in the country has this battle had more impact than in California where the largest expansion of solar power in the country has been taking place. 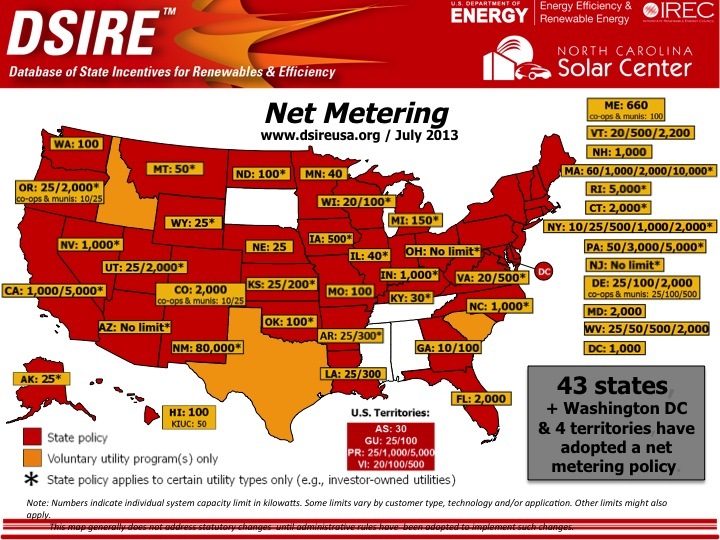 Net metering and the solar energy industry have come under growing attack since Jerry Brown's election. This last January, the electric industry failed to kill net metering at the CPUC but the solar industry submitted 130,000 signatures in its campaign to save it. 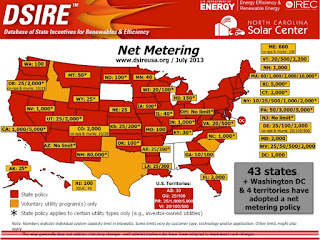 Even so, the agency sided with electric companies efforts to phase in monthly connection fees for all Net Metering customers the year before, while the IOU's biggest ally, Commissioner Florio - who earlier voted to kill Net Metering - has taken on plans to make Metering fairer for the big three. It was the above New York Times piece that focussed on a California resident whose Net Metering plan was no longer financially lucrative, but failed to give details about the CPUC's rate restructuring plan that will benefit the state's biggest energy hogs at the expense of average energy users! With the country's nuclear industry on the ropes, it is desperately hoping for new financial support from Trump who has promised to bring back the coal industry and ignore Climate Change issues. A court in Utah refused to agree with environmentalists opposing a proposed nuclear facility that could end up contaminating the Colorado River, allowing the project to go ahead, while new nuclear reactor projects in New Jersey, Georgia and by the TVA have been announced. At the same time, conservatives in Congress held hearings on how to streamline the NRC's licensing process in a desperate attempt to jump start certification for Small Modular Reactors (SMR), while a spike in lobbying has taken place by two utilities which want to use the nearly dead nuclear tax credit for new reactors, as well as allowing SMR's also to be included. At the same time the Dept. of Energy has been holding Potemkin Nuclear Waste listening sessions almost everywhere except in Texas and NM where the industry is pushing to build a Monitored Retrievable Spent Fuel site. Deadline for DOE comments are tonight (add your comments by clicking here). The uranium mining industry is experiencing its lowest prices worldwide as demand has slowed with Japan's nuclear fleet still closed down due to public opposition. The EPA has been in the news for recently announcing horrible radiation standards for US water supplies. Republicans are saying that they will reorganize the EPA if they get the administrative reigns this year, while the agency, after 8 years of delay announced plans to restart cleaning up thousands of contaminated uranium mines across Dineh (Navajo) lands. Meanwhile a new push to mine uranium around the Grand Canyon continues even with the global uranium glut continues to drive prices down. And then we have Hillary and Bill's family problem as Republicans launched a full-scale attack on twitter, claiming they let Russia take over 20% of America's uranium mining industry. This story will only get bigger even though a NY Times piece tamped the flames down a few years ago. If the right wing pushes too hard on this, it will likely come back to bite them since the Clinton's were actually part of George W. Bush's Global Nuclear Energy Partnership (GNEP) campaign to launch a global renaissance of nuclear power back in 2005. In the push to build nuclear stations worldwide, the GNEP proposal included a UN plan supported by Russia to make Kazakhstan the world's uranium banking headquarters Hillary's GNEP nuclear fingers were burned in 2010 when she was caught pushing Chile to build its first nuclear facility just weeks before the country suffered a 9.0 earthquake. The independent global report on nuclear energy was also released in mid July. It clearly shows that the industry is struggling worldwide, with the start up of 52 of Japan's 54 nuclear facilities being blocked by the public, while Taiwan voted in a new government dedicated to make the country nuclear free by 2025. The massive nuclear expansion agendas in South Africa, and India are struggling while China has scaled its plans back from the installation ?commissioning? of over 150 reactors originally planned prior to the 2011 Fukushima triple meltdown. And on the positive side, China announced plans to build a $50 trillion grid globally designed for wind and solar energy. And, in clear opposition, over 10,000 people marched last week for Clean Energy in Philly.